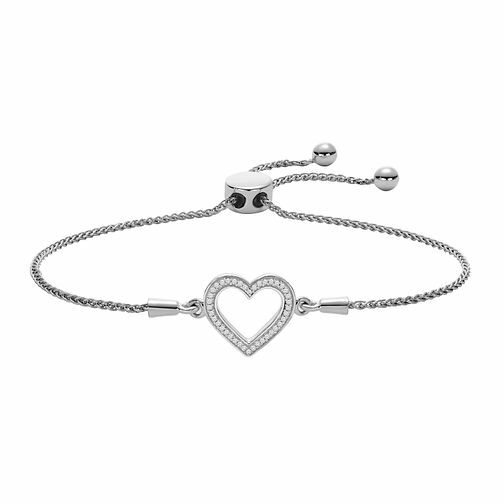 Cute and chic, this bracelet makes for an understated and fashionable final touch. A fine sterling silver chain presents the captivating heart, the symbol of love which is set to sparkle with pavé set round diamonds. A sliding clasp allows for this bracelet to have an adjustable length, to comfortable and securely fit around your wrist. A sentimental and stunning accessory, ideal for gifting to a loved one. The total diamond weight of this bracelet is 0.05ct.